No matter the time of year, Chicago always has something fun going on. 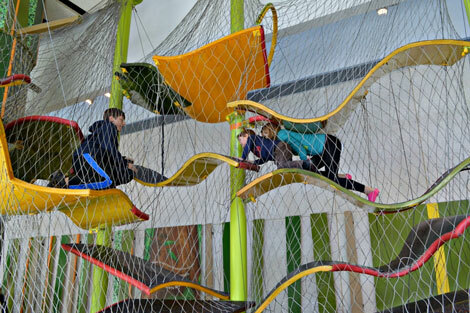 And with so many indoor options to choose from, there's no need to let the cold put a damper on your family fun! Here are a few fun, indoor ideas that will keep the kids entertained as they anticipate the warmer months and cruising season! Check out the fun. 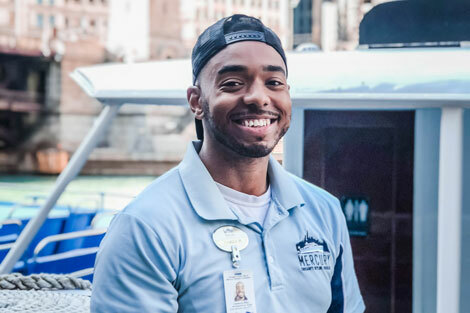 When dreams of becoming a ninja turtle didn't translate to viable career path, Cameron took his passion for history and made the boat his stage, welcoming and entertaining guests from around the world. Something you might be surprised to know about him? For someone whose job it is to talk, when off the mic...he doesn't really talk much. Learn more about Cameron! Is there anything cuter than dogs in costumes? Join us for two special Halloween Canine Cruises on October 6 and 7, 2018 at 10:15am. Bring your pup in costume (humans can dress up, too!) for a 90-minute River and Lake cruise. Prizes for best costumes! Learn more and see photos. Chicago is a city famed for its architecture, from iconic buildings such as Marina City, 150 N Riverside and the Carbide & Carbon building, there is so much experience. 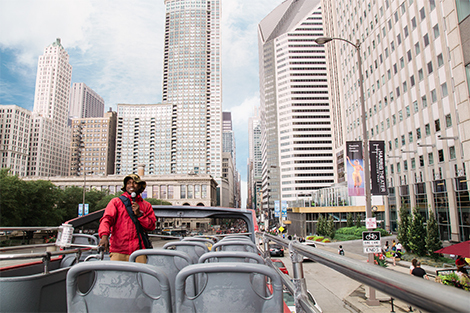 To help you see it all, Mercury Cruises has partnered with Chicago Trolley & Double Decker Co. to create the Land, Lake & River Package. 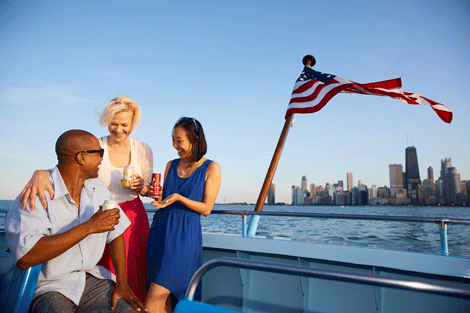 The package allows locals and visitors alike to explore Chicago by boat and bus. Read more. 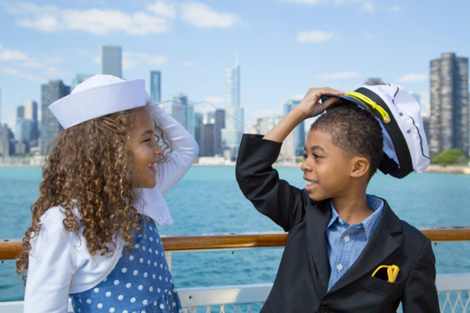 Enter Our 5th Annual Cruise Chicago Photo Contest! Do you have the winning photo? Tag your photos taken of or aboard our cruises between July 20 - September 30, 2018, for the chance to a luxury Chicago weekend! Multiple chances to win! Enter the photo contest. If you’re a local to Chicago, by now you’re probably aware (and maybe proud) of how dog-friendly the city is. From many restaurants and shops welcoming in our beloved 4-legged companions to dozens of shelters and organizations focused on protecting them, Chicago is truly a dog's paradise. Read more. National Chocolate Chip Cookie Day is just around the corner on August 4th. In honor of this very special day, we’ve compiled a list of the best places to grab your favorite snack around the city. From South Loop to North Shore, we’ve gathered the 8 best bakeries to stop by for National Chocolate Chip Cookie Day. Read more. 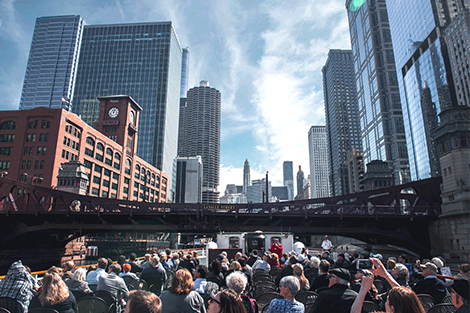 If you’ve ever been on the Chicago Architecture Foundation River Cruise aboard Chicago’s First Lady Cruises, you’ve most likely learned about Chicago’s famous movable bridges. Within the city limits there are a total of 52 movable bridges with 43 of them still operable. 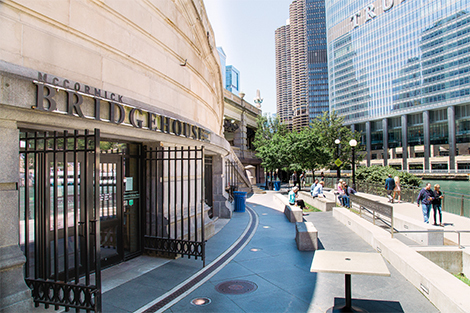 However, if the cruise peaked your interest and you wanted to learn more about the famous bridges, then head down the riverwalk to the McCormick Bridgehouse Museum. Read more. Chicago is a foodie city and not only that, but a city proud for their famous eats. 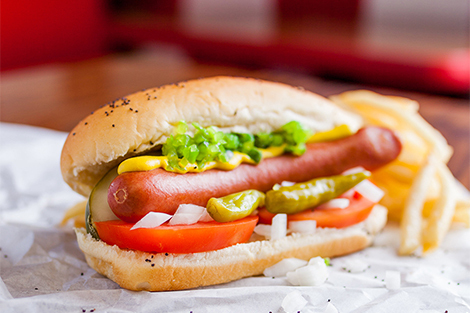 One food we are particularly proud of is our Chicago style hot dog (no ketchup please!). In celebration of National Hot Dog Day being on July 19th this year, we decided to gather a list of our 19 favorite places in the city to get our famous dogs. See if your favorite made the list. 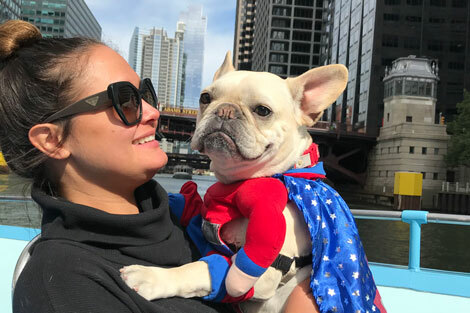 WGN-TV's Andrea Darlas joined several pups and their humans aboard Skyline Queen on Saturday, July 7 for an early morning feature on Mercury's Canine Cruise. Watch videos. There’s nothing better than Chicago in the summertime, especially when you get to spend it with your special someone. Whether it’s taking a stroll along the lakefront or exploring a new neighborhood there is so much to do around the city. To help you plan your next perfect date night, we’ve created a list of some of the best places to bring your guy or gal. From fun and cozy dinner spots to a romantic cruise on the water, this list is sure to inspire your next date night. Read more. Chicago is a city with so much to offer in terms of shopping and food. 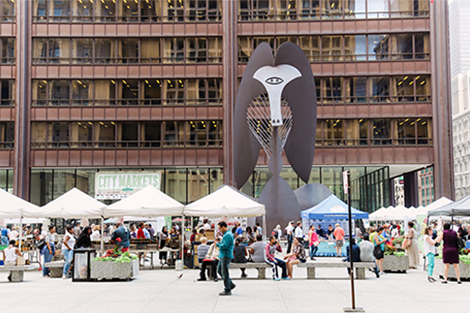 But if you’re wanting to explore more off the beaten path, Chicago’s city markets are a great option. But with so many markets to choose from we know it can be difficult to figure out where to go. To help you out, we’ve compiled a list of the 6 best markets to visit right after a cruise along with some of our favorite vendors. Read more. Figuring out what to do for the 4th of July can be overwhelming with the vast amount of activities and events going on. 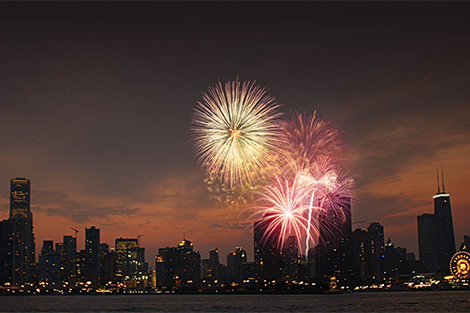 In order to ensure this 4th of July is the best one yet, we've created an agenda of the best things to do in Chicago this fourth. Read more. We invited 60 Instagrammers for an Urban Adventure sunset cruise and the photos are simply breathtaking. 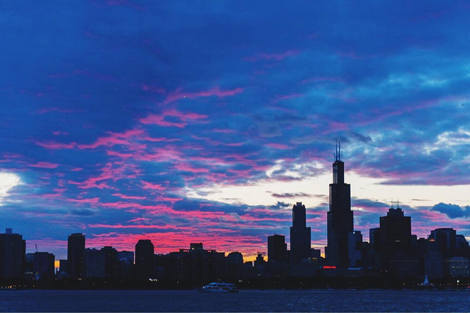 See a beautiful Chicago sunset for yourself when you choose our 6:15pm Urban Adventure Cruise through late September. View photos. Chicago has a lot to offer for us money-savvy budgeteers. From parks and playgrounds, to the best window shopping and where to see 150+ pieces of history in the exterior wall of a famous building, follow our guide to a fun-filled day of free family activities. 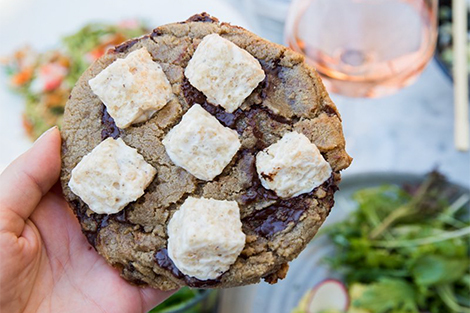 Stock up on the brownie (or wine) points by planning the ultimate Chicago date night! Join us for our 8:15pm CHICAGO BY NIGHT! 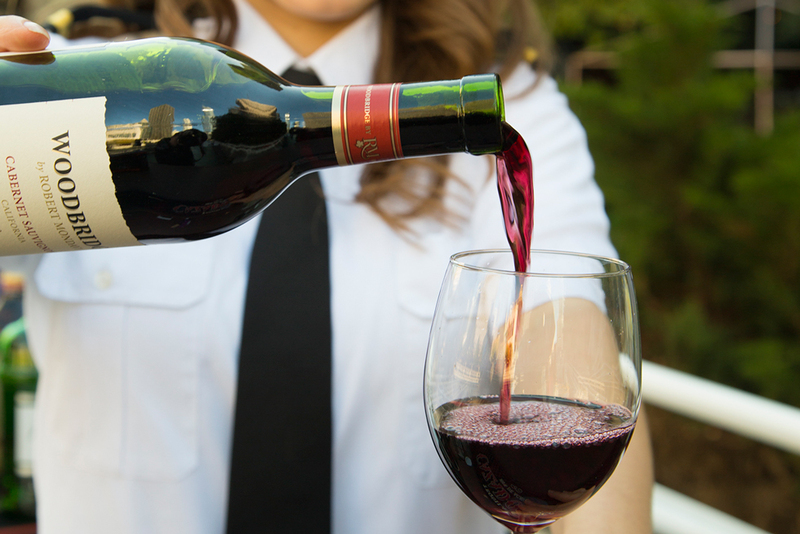 Cruise on Thursdays and Fridays and enjoy 2 adult tickets + a bottle of wine to share for $60. Plan your date night. Check out some dog-friendly fun that includes our popular Canine Cruise, Montrose Dog Beach and much more. 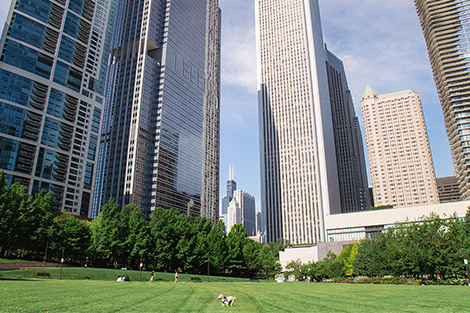 When it comes to dog cities, Chicago has earned its spot near the top. Read more. Entertaining the whole family can be a difficult task, but Chicago makes it easier by offering a wide variety of activities for all ages! 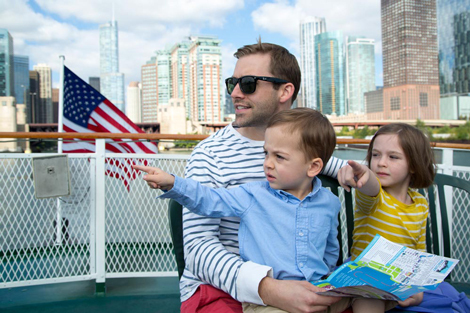 With all of the opportunities for fun, your whole family is sure to have a memorable summer in Chicago. Read more.